Discussion in 'iPhone Accessories' started by MagnusF, Oct 29, 2011. Thinking about spending some $$ on headphones to use with my iPhone and iPad. I tested the Pro Beats and they sound amazing! Do you have any recommendations for over the ear headphones that are better than the pro beats? Bowers and Wilkins p5, anything by Grado, most things by Shure or Sennheiser, nothing by Dre. Hey dude, I understand you want some style and all that - but do yourself a favor and don't buy into the whole Dr. Dre marketing hype . right now - but there's plenty out there that both looks and sounds good. Also, in-ear monitors can be astonishingly good if you can stand them. They block out all sound - the ones above do not, and I'll list a few reasonable good looking ones that do below, and they're very inconspicuous. 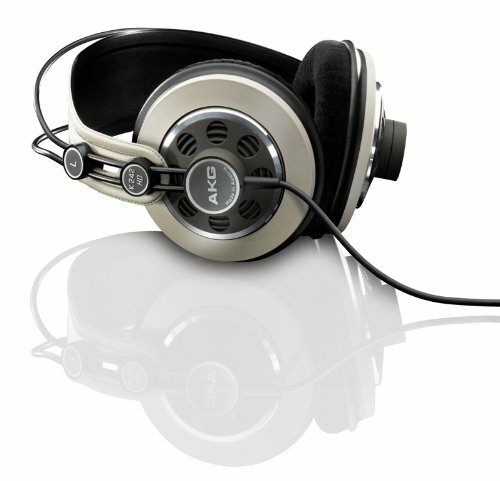 Just a few of the many, many headphones out there that are better than Dre's. I have Beats Pro headphones to use with my iPhone, and they are great if bass is your thing. I wear mine on my commute to work, and although I am not bothered by the size of the headphones, I do find the cord very thick and the coiled part is annoying. I initially used a Beats Solo cable with the Pro's so I could have the microphone functionality, and although this also solved the thick/coil cable issue, when playing back audio using the Solo cable, the volume is not as powerful (approx <10% than using the Pro cord). Due to the Pro's having a low ohm rating, the headphones are very easy to drive and they are definitely both louder and have better audio quality than the Beats Studio and Solo headphones. However, I am thinking of selling my Pro's and buying B&W P5's, as the Pro's only really excel if listening to dance and hip-hop music (these genres of music only make up 40% of my music collection and I believe that the P5's will be better suited as an all-rounder type of headphone, which has been designed with Apple products in mind). 4. Audio quality is not great when listening to any genre of music other than dance or hip-hop (very forward soundstage). I've never in my life seen a pair of headphones like the stax-sr202. Thought it was a joke till I looked them up. I like my Audio Technica ATH-M50s. I don't know anything about good earbuds though, I'd like to get some. i kicked myself in the face dont worry, i meant to say £25 for each.....specsaver's it is.. They're ridiculous. The design is from the 70's, the technology is from a bit before that, and they creak with every move. The build quality is terrible. They're absolutely unlike anything Apple has ever made. But they make up for it by having one of Apple's core values - they're insanely great. They sound like nothing else in the world and they give me a benchmark to apply to anything else - even with the lacking low-frequency response. This is their flagship. Gorgeous aluminium, amazing build quality and nice leather pads. But they're also $5600+- excluding the required amplifier (which, if you're buying that thing, should cost about the same to get the same reference class quality). This is the pair of headphones that $100k speaker rigs should look up to. From the reports, they are the most detailed things ever made. Steve would have loved and hated them. They're all-custom, bespoke made-for-you earphones. I've owned a pair of Ultimate Ears UE-11's for a few years. For portable use, they might be the best sound you can possibly get. But the UE-11's are over a thousand dollars, and the Fidelity is the same idea brought to 260-ish dollars. They contain four drivers each. The cable is replaceable. And that goes for the Fidelity earphones I mentioned as well, which is closer to the OP's price.